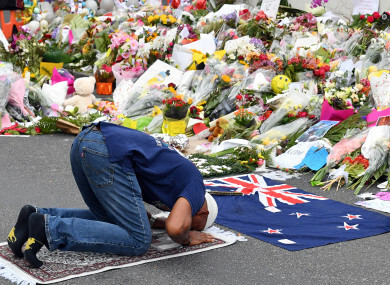 As the first bodies of the Christchurch mosque shooting victims were returned to their grieving families, Muslim volunteers from across New Zealand and Australia have stepped in to help with the burial process. Police said today that just six bodies have been released so far, and a total of 12 victims identified. Waves of volunteers have driven or flown in to Christchurch to help ease the burden on exhausted locals. “The problem is, many men and many women can’t face the body,” Ibrahim told AFP of why he felt compelled to lend a helping hand. Dadabhai said the volunteers were divided into several teams which would help in the washing of bodies — required under Islamic custom — and the burials in the cemetery. Mohammed Bilal, another volunteer from Auckland, said the “coming together” was a good way for Muslims to show they wanted to “live peacefully”. “That’s why we are here,” he told AFP. “This is a hard time but we have to be strong and faithful and believe that we are going to overcome this. Email “Families of Christchurch victims face long wait for the return of their loved ones' bodies”. Feedback on “Families of Christchurch victims face long wait for the return of their loved ones' bodies”.